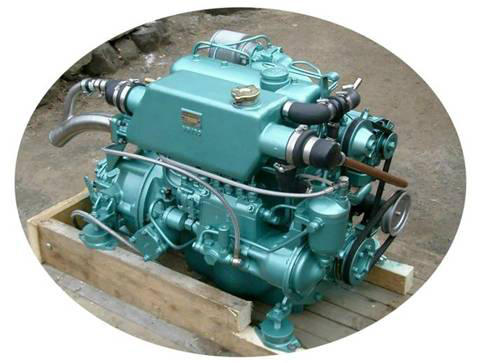 We supply engine rebuild kits and all spare parts for servicing and repairs. We offer a reliable and prompt delivery service UK and worldwide. The legendary Mercedes-Benz OM 636 four cylinder in-line, indirect injection diesel engine with a cubic capacity of 1767 cm3 and producing up to 42HP was originally developed between 1946 and 1949 and fitted to the 170D (170Da, 170Db, 170DS, 170SD), 180D and 180Db Mercedes Ponton sedans during the 1950s and is considered the forefather of later generations of Mercedes diesels. Its design was derived from the M 136 petrol engine fitted to the earlier 170V and with which it shares many dimensional similarities and internal components. Numerous automotive applications of the OM 636 include the Mercedes-Benz Unimog 2010, 401, 402 and 411 models, the 319 series transporter as well as in forklift trucks, farm tractors, combine harvesters and other special purpose vehicles.The OM 636 was also used to power electrical generators and stationary water pumps. Readily marinised by fitment of a heat exchanger and sea-water cooling system, the OM636 is popular in many yachts and cruisers throughout the world.Over the years, it has earned an enviable reputation for excellent fuel economy and durability which contributes to its continuing popularity with boat owners in the 21st century. In the UK, the 42 HP OM 636 was marinised and fitted with a Bowman heat exchanger and a belt-driven Jabsco sea-water pump as shown in the picture above. After the end of production in Germany, the engine continued to be manufactured under licence in Spain - a testimony to the successful original design. Perhaps the most recent application of the OM 636 was in Thermo King refrigeration units fitted to trucks transporting perishable goods.